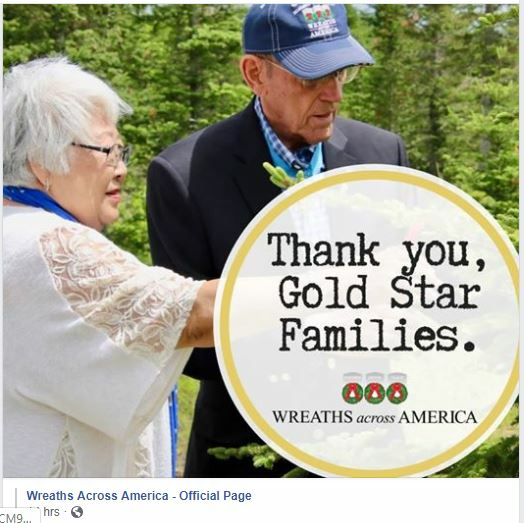 Welcome to the Cemetery Supporters - Gold Star Help (TX0275P)'s Wreaths Across America Page. On Saturday, December 14, 2019 at 11:00 AM, Cemetery Supporters - Gold Star Help (TX0275P) will be helping College Station, Bryan & Brazos Valley Cemeteries to Remember and Honor our veterans by laying Remembrance wreaths on the graves of our country's fallen heroes. Thank you so much for supporting the Cemetery Supporters - Gold Star Help (TX0275P) and Wreaths Across America! Check out 9 "Remember" recent messages from our supporters. Click "View Remember Wall" to see them all. Location Coordinator: Amanda S.,Ellen F.
We are happy that you are willing to help with our Wreath Across America ceremony at College Station, Bryan & Brazos Valley Cemeteries. Please do not forget to register to volunteer! That way you will get all updates about the cemetery itself.